You can grill just about anything. We were lucky to have some espardeñas (sea cucumbers) on our hands, so we mixed them with a few gambas (shrimp), peppers, and onions and had a wonderful lunch. Rub the shrimp, espardenyas, peppers, and onions with olive oil. 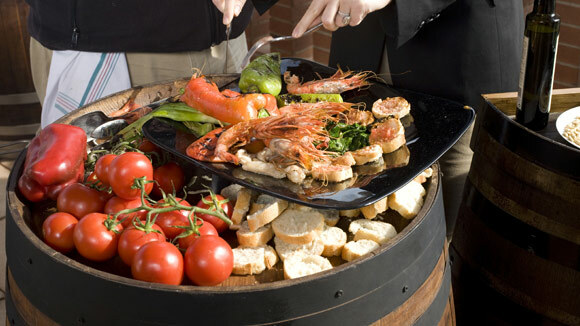 Grill over a hot fire, turning once, until the seafood is cooked through and the vegetables are tender, about 2 to 3 minutes per side for the seafood and a few more minutes for the vegetables. Transfer to a platter, sprinkle with salt, and serve. Shop For More Spanish Goods!